At emXcore we strive to give you the best, hassle-free customer-centred service in the networking hardware industry. We like to think with you and help you with finding the best networking solution. Based in Amsterdam, the Netherlands, we are right in the heart of where it happens. If you add to the fact that we keep a lot of equipment in stock, it should not come as a surprise that we are able to deliver your gear fast. Purchasing networking hardware should not be something you dread. Our goal is to make it as easy and stress free as possible. We like to look at your goals and make sure you are ready for the future. We are a team of people packed with knowledge who like to make an effort for you. Ever in the neighbourhood? Feel free to come meet us at our office in Amsterdam over a cup of coffee. Terabit Systems The Netherlands is founded in the basement of Alex Beverwijk. Our first orders go out the door. We move into our first 100m2 office. The first employee is hired. We needed more people onboard, so the team grows to three. Steve Groenefelt joins Terabit Systems The Netherlands. The company is growing and expanding so we move to a new 1000m2 office. More happy customers! We are expanding the team to keep our customers happy. As a result of growing our business we need more space. Luckily we are able to expand our warehouse to 1500m2. 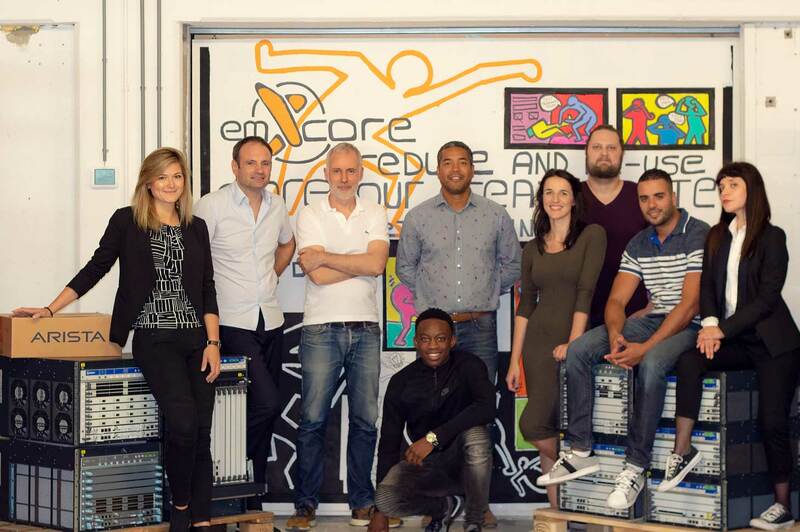 An exciting new chapter starts with changing our name to EmXcore.